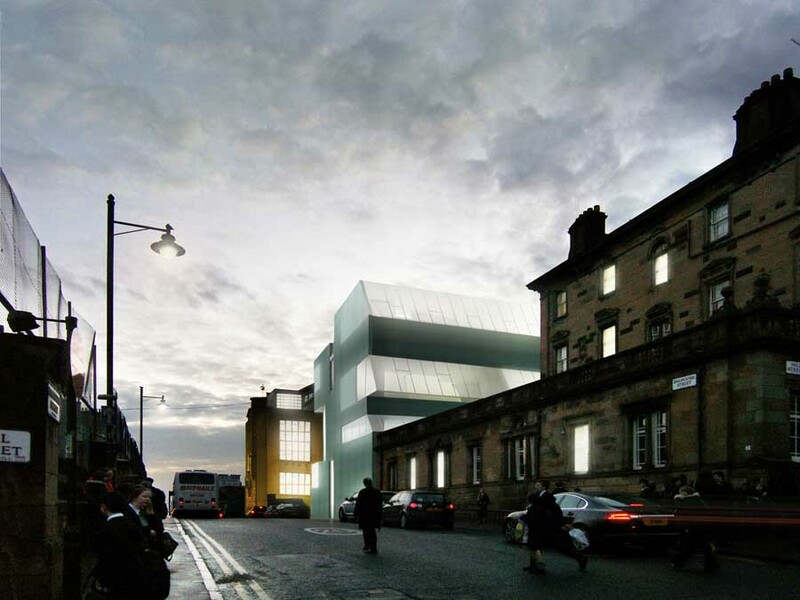 Insofar as the current discussion of the proposal by Steven Holl Architects for an addition for the Glasgow School of Art by CR Mackintosh, it may prove of some value to view things through two arcs of thought in the design field since the original building was built in 1909. These are 1., how habits visual perception have changed since the original prototype was built, and 2.; how modern and contemporary architectural language acts to predispose favorable consideration towards monumental (i.e. “to be remembered”) designs within the city. That the addition marks a centenary of the original makes any discussion regarding the GSA epigrammatic for architecture, then and now. Regarding the first: A fair case can be made that the Holl project reflects much of what was written by Hitchcock and Johnson in their book The International Style (1932). The authors cited what they felt then were notable characteristics of a distinct style of design–expression of volume over mass, of balance over symmetry, of material elegance over decoration–a style first showing itself as functionalism and having moral, not visual aims, in Germany, Holland and France starting about 1910. It is important to reference this point, since architecture, even as practiced now in 2011, reaches back to these times for much of its formalist ideology, or at least its leanings. Further, regardless of how design ideas are arrived upon within current international professional practice, computers arguably stress the potentially abstractive element within the original modernist view, with this result: Spectacle and effect crafted from abstract composition prevail as a means to organize buildings. One only has to glance at the raft of daily and weekly internet e-magazines in order to understand these currents and to grasp the reasons for their increasingly ubiquitous commonality. Regarding the second: A fair case can also be made, owing to this heightened propensity of visual language to engage emotion, that architecture is increasingly becoming burdened with an additional layer of meaning, that of trending towards the monumental. “Monumental” in this context means as serving to reinforce memory of some one thing, including possibly the actual architecture itself. Self referential architecture is no insignificant idea set in university nowadays. Starting as it did in the 90’s with Deconstruction. Owing to the contrast between modern and contemporary architectural vocabularies vis a vis traditional, following the debut of functionalism, urban design was shown to be, at its core, fundamentally the handling of urban space. “Space” in this regard is meant as not only space around buildings, but also space between buildings (i.e involving streets, views, silhouettes, prospects, etc; eventually devolving into considerations of movements and sequences through cities). The Mackintosh prototype takes pains to be a cordial, balanced and genteel architectural presence within the city. It contributes to the city by being symbolically and compositionally highly sophisticated. This William JR Curtis discusses with profound knowledge and sensitivity. 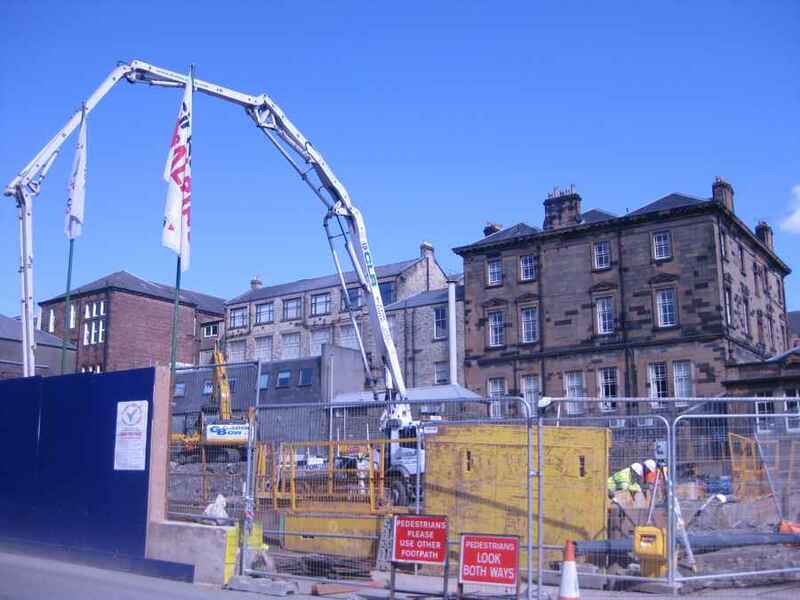 Any construction opposite the GSA, by implication, also contributes to the space of Renfrew and the adjoining streets, in terms of defining the urban space. The language of urban space involves: natural and artificial lighting, forms, coloration, cadence, views rhythm, creation of places, symmetries, asymmetries, hierarchies, mass, scale, etc. So far as can be ascertained from publicly available design exhibits, there appears to be little in the current in the Holl proposal, in this regard to merit its serious consideration. The oblique corner renditions are more troubling than reassuring, suggesting an incompleteness at the ends of the street space (GSA’s delicate verticals vs. Holl’s blunt laterals); and items equally unresolved from other oblique prospects farther up the hill, where the Holl solution overwhelms the transverse streetscapes. 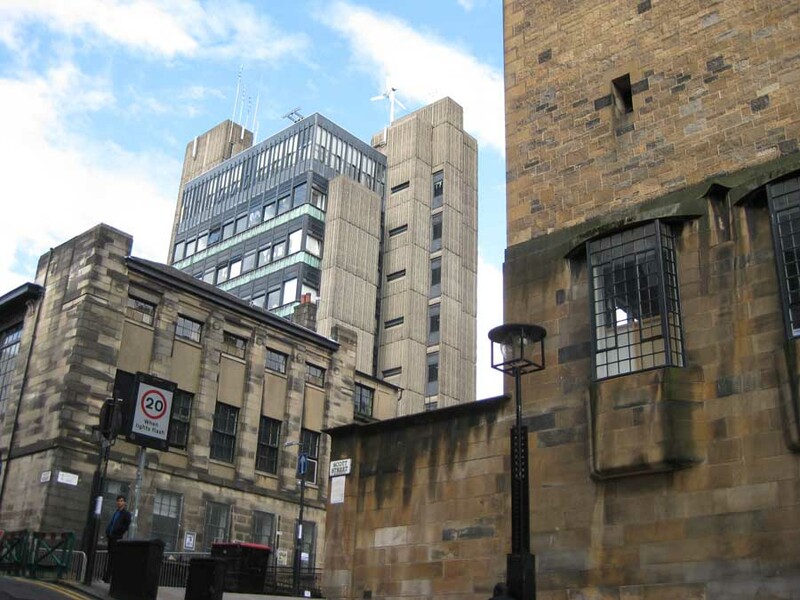 On account of the ensuing tension in Renfrew Street, it might be of some value that the GSA carefully revisit some of the (few) significant architectural successes regarding juxtaposition of modernist and contemporary designs within traditional settings. Two exceptional architects who practiced with full understanding of all the rules within European urban settings (and at the scale of Glasgow) were Gunnar Asplund and James Stirling. Two of Asplund’s projects –the Royal Chancellery in Stockholm and the Goteborg City Hall Addition–are noteworthy and relevant, insofar as integrating modern and traditional design urbanistically. Stirling had a larger folio of like projects and his successes are worth study. In his later career he was as much an urbanist as an architect. Starting in the 70’s and extending to his museums and town civic centers in the early 80’s (including Derby, Marburg, Stuttgart, Berlin) a central theme in his design work involved “architecture that sews the city together” (Robert Maxwell, as quoted in his book on Stirling & Wilford re: the Marburg project). Stirling, for a long time, was particularly fascinated by Scottish castles. This says a lot. New ways of seeing buildings and remembering seeing buildings are currently blurring into one single recognizable architectural media friendly type form. A kind of brand, as it were. Beginning in the 60’s with brutalism (when modernism really wasn’t understood at all, and design was at an ebb), extending into 70’s ( with blocky corporate/institutional modernism), currently now in vogue, such architecture continues on, as a kind of cultivated study of abstract objects, aimed at being visually arresting, kinetically suggestive, arranged as collage apart from setting. The “nonformal” half of architecture that is more or less ignored for this aggresively biased investigative stance of form for form’s sake has to do with issues of artefact, object making, construction, form, materials, color, pattern, surface, texture, etc. By inference, it also has to do with referencing poetic elements in the art form: propriety, sensibility, tone, meaning. Mircea Eliade wrote about such elusive placecrafting dimensions in his book Poetics of Space. Mackintosh understood this. The studios in the GSA are beautifully scaled luminous panels (with literal, figurative and symbolic meaning). They lyrically present themselves, day and night, as wonderful stations to pursue Art within the city. In this regard, the building is indeed quite a “constructed poem”, as William JR Curtis notes. The Glasgow School of Art gracefully imparts its meaning to Renfrew Street. Any addition to the GSA has to do the same thing, but in its own language. 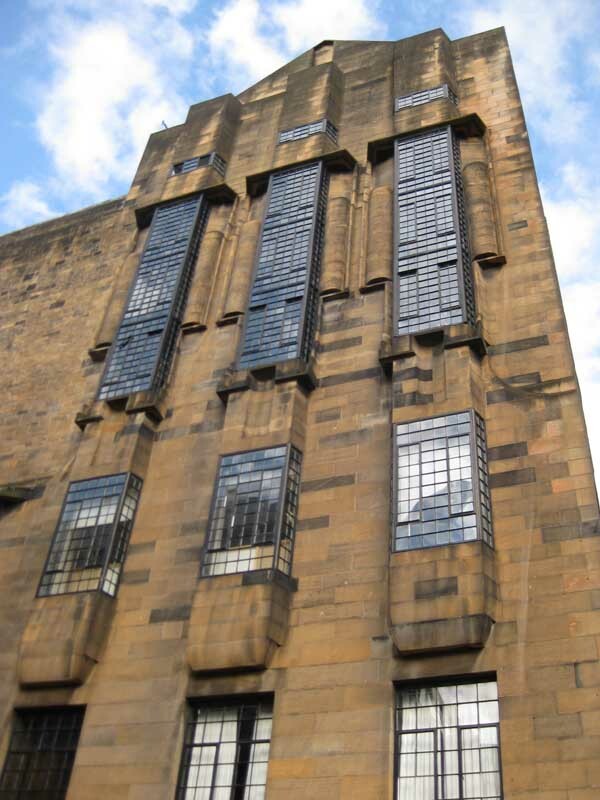 Curtis notes the idiosyncratic and exceptional place the Mackintosh building occupies in architectural and art history. Arguably, this is precisely the type of role Kenneth Frampton, the eminent architectural historian, in his book on modern architecture, is citing, with reference to his proposed concept of Critical Regionalism. The GSA precisely exemplifies the ideals which Frampton articulates, delineating regionally specific but universally understood exemplary architectural design. Regardless of what perceptive/creative tendencies of seeing may or may not be in fashion, it stands to reason that any addition to the GSA should be held to the same balanced standards of artistic quality and integrity as the Mackintosh prototype. To my best professional understanding, based upon design exhibits I have seen made public to date, the Holl proposal does not meet this standard. I respectfully submit there is no excuse to accept anything less in any addition design than what the Mackintosh piece deserves; and furthermore, what architecture at this level of exceptional thought and execution absolutely requires. 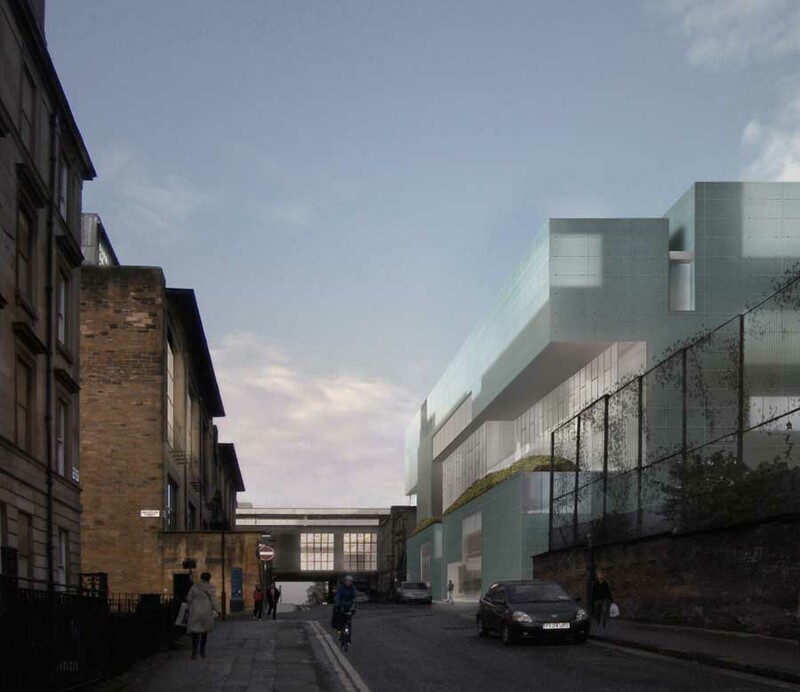 The recent Council Report on the Holl scheme for the Glasgow School of Art is a preposterous document full of slanted information and half truths. It is not worthy of an open democratic society where transparency should reign. Why are people trying to hide so much in an effort at sliding this totally inadequate architectural project through?? This document does not reflect well on the Scottish establishment, its ‘useful idiots’, the Glasgow City Council or the Glasgow School of Art itself. What does it say about the architect and his way of working? That is for you to decide. One of the most preposterous features of the Report is its repression of the truth concerning the negative press that the scheme has received…I have rarely seen anything like this but we are told in this zany document that the media have been ‘laudatory’!! Black is white and up is down…no wonder these folks are having a hard time seeing what the average taxi driver can see, namely that this building is totally out of place and out of scale. The mountains of verbiage in the Report read like spells and incantations, a wish list of all the things that the Holl project is supposed to be but is not. The path to architectural mediocrity is pathed with politically correct intentions. But we are obliged to live in buildings not edifices spun with empty words. As there is a propaganda effort in the recent Council Report at down-playing the criticism of the Holl scheme in the media, it is important to set the record straight. I am quite used to being the ‘invisible man’ but the Report takes this denial of my widely published and discussed critical positions of the Holl scheme to an extreme: I am quite simply not mentioned at all!! It is a bit like one of those official photos where inconvenient individuals are airbrushed out!! On your site you note these articles by me: the one in the Architects Journal of November 2011 got 78% full approval; 14% in large agreement; 8% against. Then this one in Architectural Record in February 2011. In the Comments section there was and is an avalanche of severe criticisms of Holl’s problematic scheme, some very perceptive, some devastating…over 90% critical. None ‘laudatory’ and even the ones that had somethinh positive to say about Holl had doubts about this scheme!! My ‘Open Letter to the Governors, Director, Faculty, Students etc etc’ of the GSA dated 28th February 2011 was published in Architects Journal and on the Architectural Record site (reference above). It was also sent to the Glasgow School of Art and printed out on large pieces of paper so the School certainly received it!!!!. Many of these posters were plastered all over the walls and doors of the studios for students and faculty to read !!! (‘officials’ removed them as soon as possible which maybe says something about the style of ‘debate’ and ‘consultation’ in the GSA). Now, VERY IMPORTANT INDEED: in line with correct procedure I sent into the Glasgow City Hall the enclosed 4 page letter of Objections dated 4th March 2011. This went to their email site and reception was acknowledged….so it got there…at 15.44 hrs and 33 seconds on Monday 7th March 2011 to be very precise !! I draw your attention to this passage in the Report Whilst this process and the originally conceived design ethos of the new building has been lauded by the media, it must be acknowledged that there has also been a minority view expressing some public criticism aired in both the national press and architectural journals which is unsurprising given the significance of the site in relation to its position directly opposite Mackintosh’s masterpiece. The comments mainly refer to the materiality of the building, its detailed form and refinement (sic!) its unconventional appearance and its overbearing impact. However, it should be noted that no such opinions have been articulated to the Council through the planning application process or directly to the School before, during or after the PAC process and, as such, regardless of their viewpoint cannot be viewed as a material consideration in the assessment of the planning application. ‘Lauded by the media’ !!! ???? WHICH MEDIA ??? In fact the project has been assassinated in the press (not least by myself) but also by Rowan Moore of the Guardian and Martin Filler of the New York Review of books. Not to mention the hundreds of devastating rejections in the comments sections, some of them dead on!!! Hardly a ‘minority view’ !! Please also note that the above passage is wrong about the arrival of critical opinions. My Open letter did indeed get to the GSA and my Objections did indeeed get to the Glasgow Council Planning Office…..But there is no mention of my name anywhere in their entire Report !!! Just a list of exaggerated claims for the project and one or two weedy suggestions for minor changes…. This is all very fishy as are many of the statements in the Report which desperately try to answer the criticisms in mountains of verbiage. Suddenly this ‘robotic’ project (to reuse Rowan Moore’s word) has become chummy and civilised,; bowing and scraping to Charles Rennie, extending the ‘public realm’ (ugh that ghastly cliché! )…Suddenly too it is supposed somehow to have adjusted itself to the scale of Renfrew Street… But study those dimensions carefully, there is a sleight of hand…There is fudging on the crucial question of the relative heights of the buildings and the key dimension of the cornice line of the Old Mac..Holl’s facade still totally overwhelms Mackintosh !! But it is not in rewriting the menu that you alter the meal….The Holl project is fundamentally flawed. The problems are far too basic to be solved by jiggering about with glazing, and inserting slots between walls and glass where we assured insects will not dare to tread !! I did not know that there were ostriches in Scotland but apparently there are a lot of heads buried in the sand!!! Look at the long list of fancy institutions..a sad comment really on the state of things. So Adrian I enclose my OBJECTIONS LETTER dated 4th March 2011 in full. This too should go on your site as it may one day be seen as a historical document of some importance. People will be able to say: at least William J. R. Curtis stood up for Charles Rennie Mackintosh’s masterpiece in the face of mediocrity! But the Glasgow Council makes no mention of this letter in its whitewash job. Really it is quite sad when ‘procedure’ is introduced as a way of trying to squelch open debate and deny inconvenient truths. 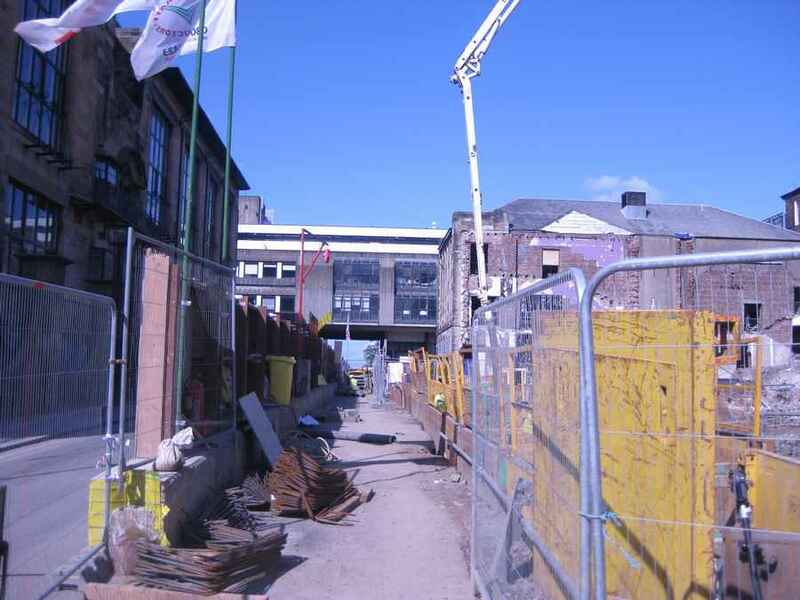 The functionaries of the Glasgow School of Art and the Glasgow City Council are in a state of denial about the very problematic nature of the Holl scheme which is not at all in the long term interests of either Mackintosh or Glasgow. Here is my ‘objections letter’ in full. I hope that people in Glasgow will now read it, including the members of the City Council. William J. R. Curtis is an internationally known historian and critic of architecture. Author of classic work Modern Architecture Since 1900 (placing Mackintosh in global context). 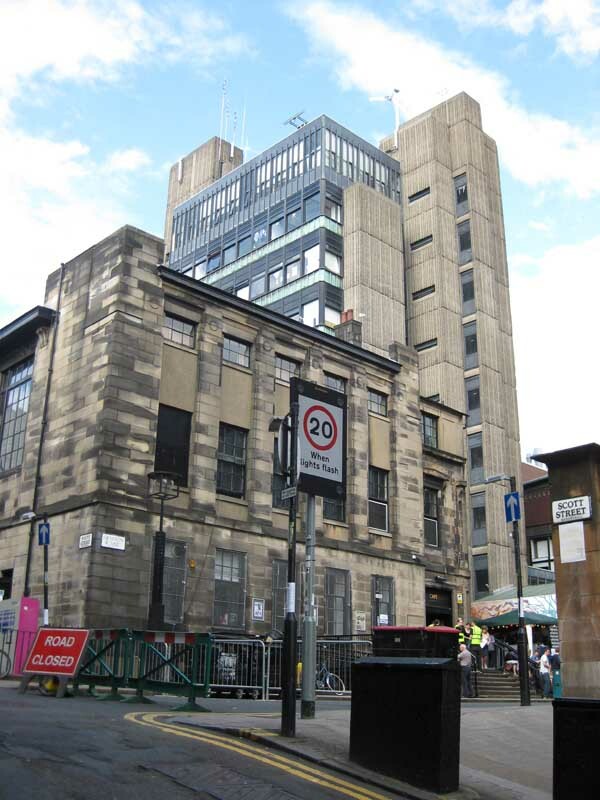 Gave keynote address on Mackintosh’s Glasgow School of Art for Centennial, Dec 2009. Critical writings on contemporary architecture in world wide press. Frequent Jury member for architectural competitions. Numerous international awards including USA. Has taught in universities around the world. First class Honours, Courtauld Institute of Art, 1970, PhD, Harvard, 1975. 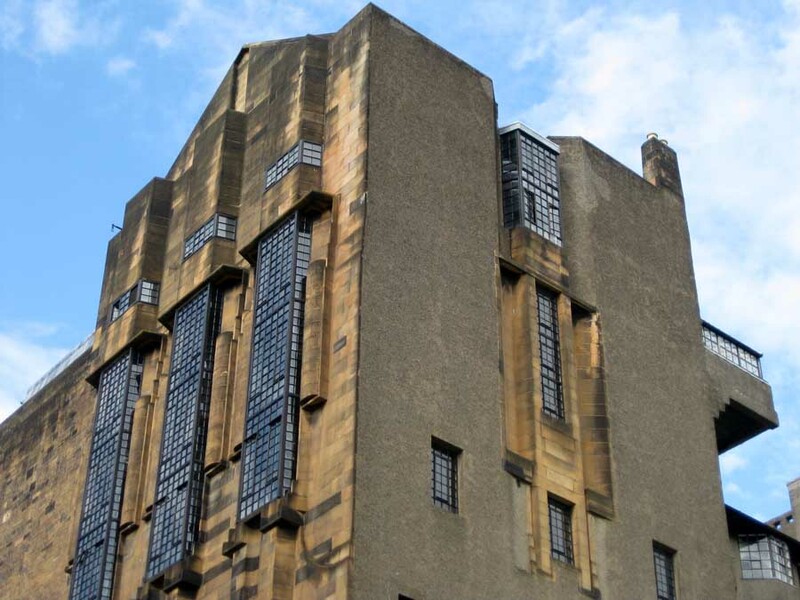 1 Mackintosh’s Glasgow School of Art is a much loved masterpiece which belongs to Glasgow but also to the wide world. Any neighbouring addition has to relate to it and to harmonise with it. It is not a question of copying what has gone before, but of achieving a dialogue at the level of volumes, scale, proportion, material. The Holl project fails to do any of these things and is in fact hostile to its predecessor. 2 The Holl project is far too bulky and dominating, so overwhelms its neighbour completely in size. It also sticks out in scale when seen from all angles and streets approaching the site. 3 Holl’s Renfrew Street façade rises much higher than Mackintosh’s exquisite façade and presents it with a vast cliff of scarcely relieved glass. It risks neutralising the subtle scale and proportions of Mackintosh’s composition of solids and voids, stone, steel and glass. 4 Holl’s building was described recently by Rowan Moore of the Guardian as ‘robotic’ and it is in fact lacking in human scale, like an industrial building dropped in from another planet. 5 The Holl proposal shows very little understanding of the Glasgow context, near or far : the grid plan, the topography, the neutral façade language of stone and glass. It might be at home in a business park in China or the USA, but feels alien to its site and to Glasgow in general. 6 All the façades of the Holl proposal lack detail and relief. Proportions and volumes are clumsy and unresolved. Again it is not a matter of copying Mackintosh but of establishing a language of detail to break down the vast surfaces. 7 The Holl project is lacking in institutional character : in fact it has not established a clear identity as a design. The building is mute and impenetrable behind its snowy or pale green matt glass. 8 Similarly the project is lacking in urbanity : it overwhelms Renfrew Street and fails to establish a convivial urban and social space between old and new. 9 The Holl project has been sold on the theme of ‘light’, which sounds splendid but shadow is also part of architecture and Holl’s glass volumes risk an incandescent overload of light, which can in turn overwhelm the old Mac which is full of nuances where daylight is concerned. 10 Holl’s famous light cylinders will probably turn into dull tubes for most of the year at this latitude, but they take up a lot of room and they contribute to the excessive volume of the project. Mackintosh, quietly and without rhetoric, achieved stairwells that distribute light and serve as social spaces of interaction simultaneously. 11 Holl is using matt glass but this will still be a bright and brittle object reflecting considerable amount of light onto the studio windows opposite. At night it risks becoming a giant whitish green neon lamp, killing off totally the marvellous Japanese lamp qualities of the old Mac with its many slits and openings. 12 When Holl won the competition he produced crude conceptual sketches as the basis of an interview discussion. It was understood that they did not constitute the project as such but the starting point of a dialogue. 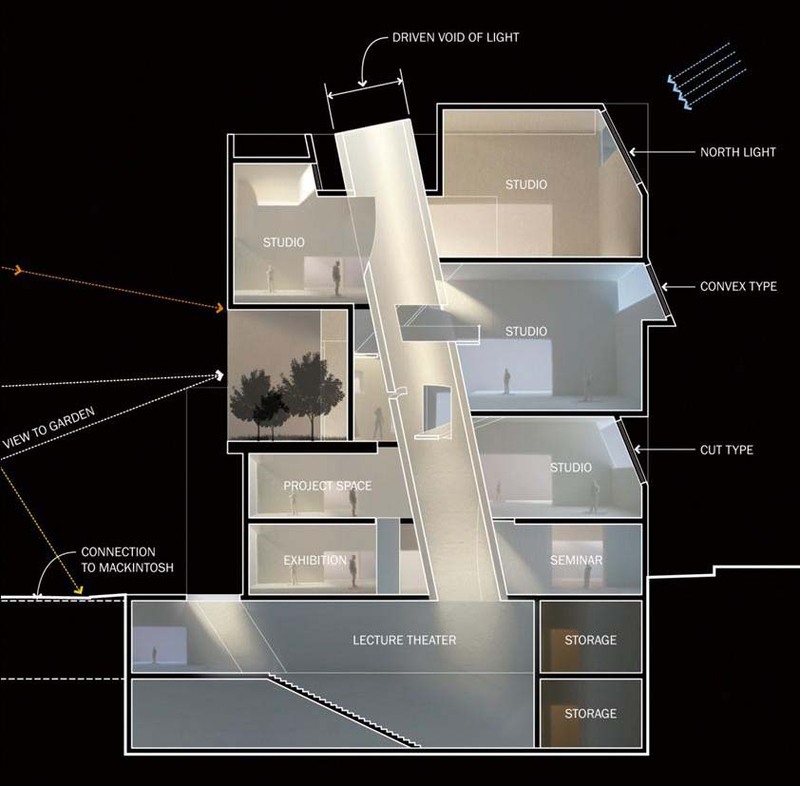 However when the present project was presented in Autumn 2010 it looked as if the original diagramme had been developed little and wrapped in Holl’s usual smoked glass clichés. 13 Architecture is a collaborative process where critical input is essential from the client or from elsewhere, but what we seem to have here is a stilted diagramme rather than a developed and fully articulate work. It is strangely ‘still born’ and has not yet achieved a spirit of its own. 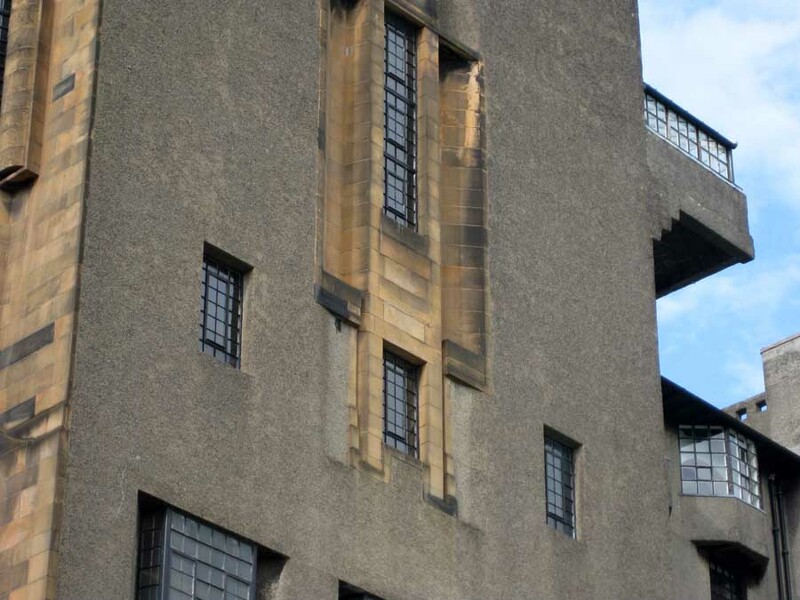 14 The Mackintosh building is part of universal patrimony. It is a key work in the history of modern architecture, but it is also the best building in the British Isles since the eras of Soane and Hawksmoor in the 18th century. It deserves to be treated with respect. Any addition has to play second fiddle and not blast loudly and noisily like an out of tune trombone !! 16 For all these reasons I suggest that the Holl project is inappropriate for this site, city and programme. In effect it opposes itself to Mackintosh rather than relating sympathetically. The conclusion is obvious : this is not the right solution to the problem. GLASGOW SCHOOL OF ART: AN OPEN LETTER TO THE GOVERNORS, THE DIRECTOR, THE FACULTY, STUDENTS, STAFF, ALUMNAE AND ALUMNI. A year and three score days ago we assembled in the Glasgow School of Art to celebrate the Centennial of Mackintosh’s much loved masterpiece. People of many nationalities saluted a remarkable work which belongs to its city but also to the world. I was honoured to deliver the keynote address, ‘Materials of the Imagination’, which explored the rich form and meaning of the building, and its diverse sources from Scottish castles, to steamships, to Michelangelo. I suggested that a work of a high order is like a constructed myth. While responding to its time, it inspires future generations. Without pretension or show Mackintosh’s building goes about its daily business but touches all who enter there. What a disappointment then to contemplate Steven Holl’s proposed addition. It is horrendously out of scale, it dominates Mackintosh, it does not create a decent urban space, it fails to deal with the context near and far, it is clumsy in form and proportion, it lacks finesse in detail, has no relationship to the human figure, and is a still born diagramme dressed up in Holl clichés such as ‘iceberg’ glass. The light tubes inside would be dim holes, the cliff of green glazing would rise too high and present a blank to the street. Matte glass it may be, but this would still be a bright and brittle object in the day, and a cold neon light at night effacing the Japanese lantern of the old building opposite. Mr Holl tries to tell us that the glass will be like ‘alabaster’, that it will reflect the Scottish sky but somehow not reflect light onto the Mackintosh’s north façade opposite. A miracle glass then, or else a new kind of light. Soon star architects will walk on water. 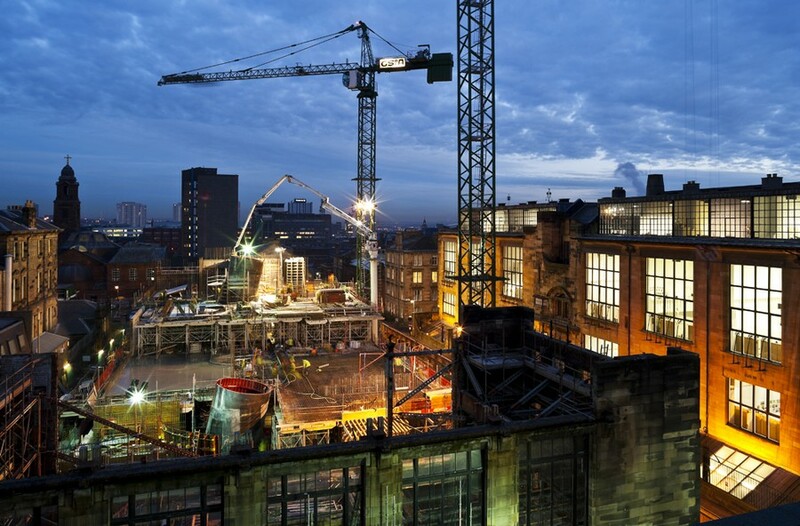 Those responsible for the future of the Glasgow School of Art should remember that they are the temporary residents and custodians of a world masterpiece which must be handed on to future generations. The problems of the new project stem from the very anatomy of its design. It opposes itself to Mackintosh so it obviously should not be built. Historian, critic. Author of Modern Architecture Since 1900. Slade Professor of Fine Art, Cambridge University, 2003-4.